On October 24th, in yet another attempt to derail implementation of Obamacare, House Republicans publicly questioned representatives of contracted information technology (IT) companies about the failure of healthcare.gov. These companies were hired to create healthcare.gov as an easy way for Americans to register for health insurance. The Obama administration’s Affordable Care Act was passed in 2010, giving ample time for these contractors to do their job. Rather than focus on the failure of well-compensated private sector companies to fulfill their contractual obligation, Republican committee members used this opportunity to have these IT companies to wash their hands and blame their failure on the Department of Health and Human Services (HHS). This hearing was a thinly-veiled effort for the Republicans to liken the nonfunctional website to Obamacare itself. No doubt, the goal was to create a public uproar against Obamacare. The whole healthcare.gov debacle brings up the issue of wasted tax dollars on private-sector contractors in general. Commonly known as outsourcing, a highly questionable argument is made by politicians that outsourcing is less costly than hiring career civil servants. Sadly, I don’t have access to accounting tea leaves that compare the costliness of hiring well-educated and talented career civil servants to hiring inept contractors that do, at best, mediocre work. Consequently, I can’t challenge the assertion that profit-making, and euphemistically nonprofit, corporations can do better providing public services for the American taxpayer. I can only speak from my observations well as a now retired employee of the Commonwealth of Pennsylvania’s Department of Public Welfare (DPW). As a 26-year veteran of state civil service, I have witnessed IT contractors and behavioral health managed-care companies (BHMCOs) suckle at the public teat while delivering only a modicum of benefit for the enormous number of taxpayer dollars paid to them. The most heartbreaking example of the poor cost-to-benefit ratio of hiring contractors is the millions in Medicaid dollars paid to Pennsylvania’s BHMCOs. The four big “nonprofit” BHMCOs with whom I had low-level dealings with are Value Behavioral Health, Community Behavioral Health, Community Care Behavioral Health, and Magellan. Mind you, these BHMCOs are not charities. Medicaid is divided among these non-government entities for each and every welfare recipient, whether or not he or she receives mental health services. I wonder how many dollars not spent on services are reinvested into expanding each BHMCOs affiliated network of providers. Certainly what is not reinvested is pocketed. What’s heartbreaking is that, with all the Medicaid dollars paid to these contractors, most of Pennsylvania’s seriously mentally ill population can be found on the streets or in prisons. Like the IT contractors who pocketed hundreds of millions of taxpayer dollars in return for the nonfunctioning healthcare.gov, BHMCOs pocket millions in Medicaid, while the majority of Pennsylvania’s impoverished mentally ill are either homeless are incarcerated by the Pennsylvania Department of Corrections or Pennsylvania’s 67 county jails. Under the Kennedy administration’s New Freedom initiative, the Mental Health Act of 1963 was passed by Congress to provide federal dollars, overseen by the states, for distribution to county governments for community-based alternatives to state mental hospitals. These dollars were, presumably, meant to create community mental health centers staffed by dedicated county-employed professionals. 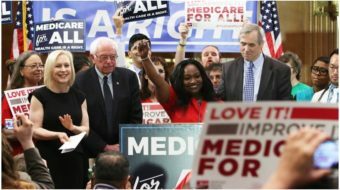 Fifty years have passed and mental health care for the poor is now a cash cow for the BHMCOs a.k.a. contractors. Gregory Schnacky is retired from the Pennsylvania Department of Public Welfare Office of Mental Health and Substance Abuse. 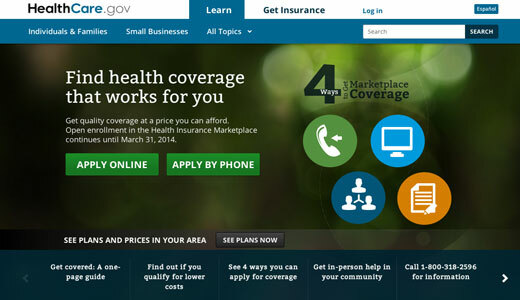 Photo: Control of the national healthcare website was contracted out to a private company.